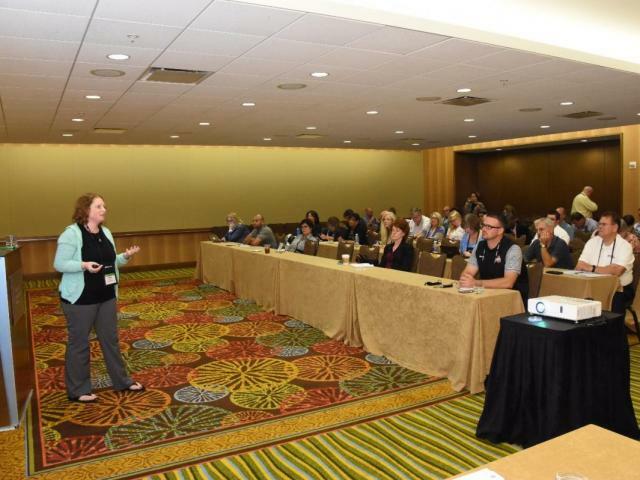 Melissa Carter, a Business Advisor with the Small Business Development Center (SBDC) at the OSU South Centers, presented a seminar session at the America’s SBDC Conference in Orlando, Florida in September. Carter was selected to present “Navigating Online Marketing for Clients” which covered topics such as understanding and utilizing social media, managing website content and optimization, and tips to increase online visibility for businesses. Over 75 individuals attended the ninety-minute session. Annually, the America’s SBDC Conference is held to provide professional development and networking opportunities to Business Advisors and Directors throughout the country. Over 1,400 individuals attended the September conference.